Thailand is one of the world’s most popular tourist destinations, with cities like Bangkok, Chang Mai, Ko Suami and Phuket attracting millions of travellers every year. 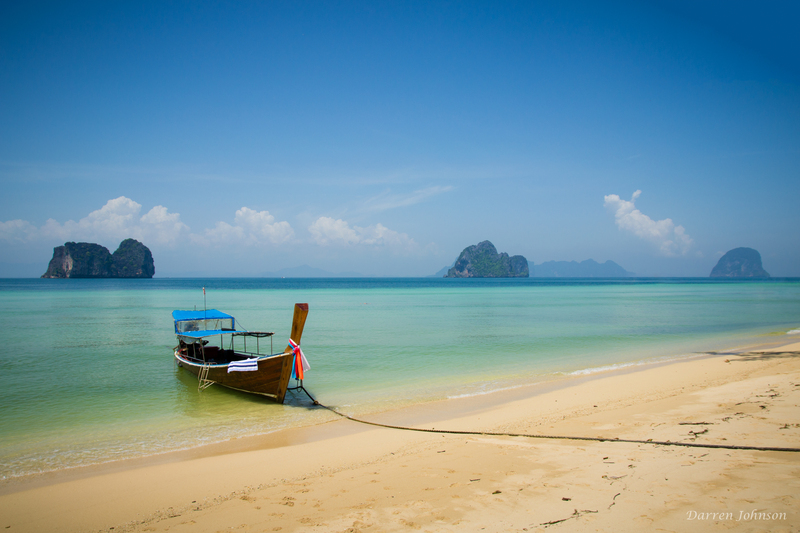 Thailand boasts a majestic and varied landscape, with a wide range of activities to suit every kind of traveller. Here’s a couple things to keep in mind when travelling throughout Thailand. Thailand’s varied landscape means that there’s something for every kind of traveller. Majestic coastlines provide the opportunity to kick back and relax, or explore in a variety of ways. Boats, scuba diving and kiteboarding are just some of the numerous activities open to traveller. Travellers must of course take care that any activities they book are done through credible companies or you may find yourself out of pocket. Additionally, reputable companies will help to ensure that any activities you book through them are only carried out in safe conditions. Use your discretion in deciding when situations are too unsafe to participate in. Shopping in Thailand can range from department stores, to market stalls – some of which float. This diverse nature means that many travellers are presented with a situation they may be unaccustomed to, namely bargaining. How successful a traveller can be bargaining depends on many factors, but having good manners and a sense of humour can get you a long way! A good strategy is simply to ask about an item to get a ballpark amount, and bargain from there. Walking away may get you a deal as shopkeepers drop prices in an attempt to lure you back. Be aware that not all shopkeepers play a fair bargaining game. Many will attempt to take advantage of travellers. If you decide an item is not worth the asking price walk away, and avoid confrontations with shopkeepers. Attracting thousands every year, the Full Moon Party is not for the faint of heart. Set in Koh Phangan, the parties have become infamous with the beach filling with between 10,000 – 30,000 tourists. The parties feature copious amounts of alcohol, and a night time beach party which lasts until the early hours of the morning. Whilst many boast of the fun they’ve had at Full Moon Parties, caution must be exercised. When attending these parties ensure you always remain in a group, or know the whereabouts of your group at all time. Furthermore, watch out for your drinks with drink spiking and illicit drug use being a big issue at these parties. The Australian government recommends that travellers exercise a high degree of caution when travelling to Thailand, and should avoid any travel to the following regions: Yala, Pattani, Narathiwat and Songkhla. For more information of government travel updated visit Smart Traveller. The range of outdoor adventure travel activities available in Thailand is already vast and growing. However on the staying safe note, it’s especially important to be prudent at the Full Moon Party and similarly rowdy events/venues around Thailand. These types of parties tend to attract a lot of the less savory characters, so you need to be especially careful. [Avoid carrying large of cash, don’t drink drive, don’t consume so much alcohol you are out of control etc. All common sense, but good to be careful – you want to enjoy your vacation]. Excellent tips. Thanks so much for sharing! On the staying safe note: I think as long as you are a smart traveler with common sense there is no need to worry. I have traveled in a vast array of different countries and cultures and having lived here for several years, I find Thailand to be among the most safe for travelers. However the note about traffic and bike helmets is very true, roads are probably the most dangerous thing you will encounter in Thailand! If you are not confident on a motorbike and in traffic you should stick to taxis even if they are a little more pricy! I completely agree, as long as a traveller is being smart they shouldn’t ave much to worry about. Thanks so much for your comment!